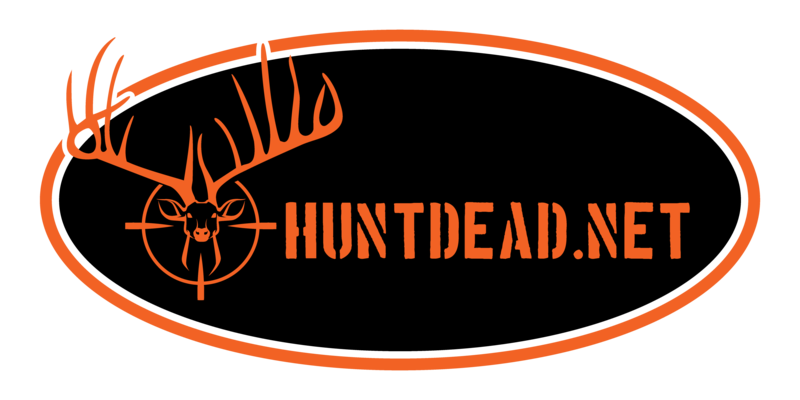 The Wise Old Redneck Guru traveled from town to town, talking to a multitude of hunters that are trying to combat the growing problem of WILD HOGS! The Guru decided to travel to Wilderness Calls and visited the peaceful creek that runs in the back part of the wilderness. 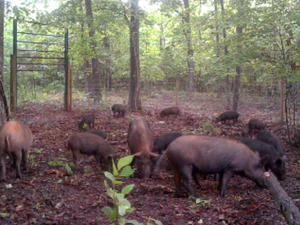 He meditated for several hours and pondered on a solution to the growing Wild Hog problem. 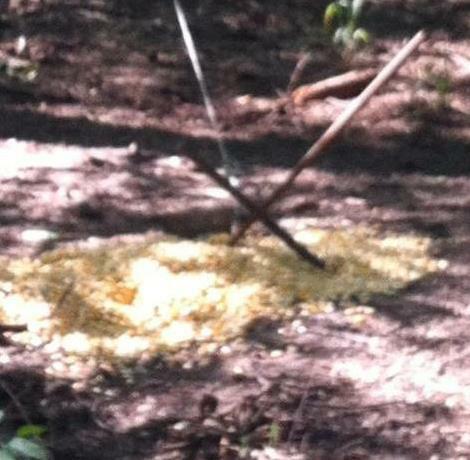 He had invented the Double “D” gravity deer feeder but it was not enough. 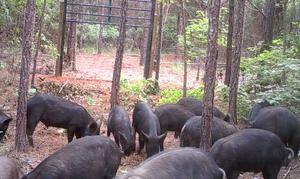 It would help to keep the Wild Hogs from gobbling up feed at a record pace, but the pest would still hang around and eat everything they could find to eat. 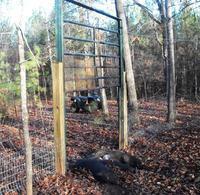 Destroying everything in their path and running the whitetail deer away. 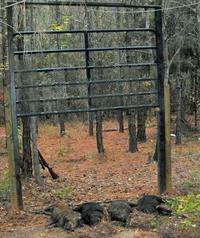 He had seen the traditional Wild Hog traps and came to the conclusion that they would help eliminate one or two Wild Hog at a time. This was not the solution to the problem, but a bandage on the problem. How could this problem be solved? As the Guru meditated he drifted back to when he was a young man, tottering from Papa Redneck Guru. He remembered an occasion when rats had taken over a corn crib (barn that holds corn). Papa Guru did not set a small trap and catch one or two, he eliminated ALL the rats. Could this be the solution he was seeking? 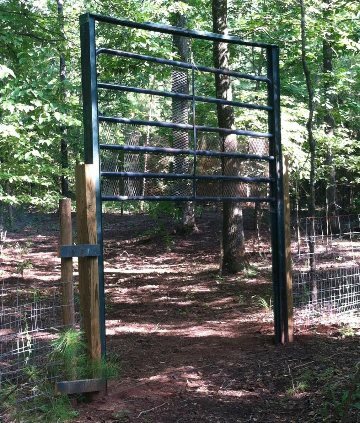 Then as he meditated a vision came to the Guru, a wild hog trap gate that would be able to allow a large number of wild hogs into a pen and close so fast they would not be able to escape. 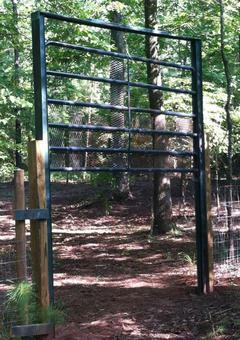 Yes an 8 foot gate on a slide that extended into the air six feet, above the ground. 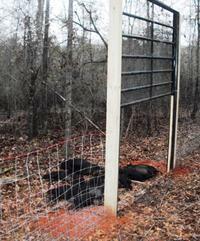 Start Trapping your hogs today! Copyright © 2019 K-Star Investments, LLC. All Rights Reserved.